A stunning country house with over 10 acres of beautiful grounds, Mosspark House and Lodge in Kinross has been placed on the market by our Stirling office. Situated in the scenic countryside east of Dollar, Mosspark is a gracious and handsome house built of pink painted rendered stone under a series of pitched slate roofs. The property includes a tower section, which houses a sweeping staircase, and an impressive entrance with the date stone "1906" above. 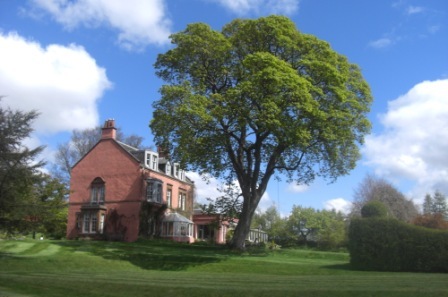 Mosspark House was renovated and enlarged in 1906 for one of the first female doctors in Scotland, based in Edinburgh, where it is believed she wanted the spacious accommodation for her adopted children. With a floor area of some 318 sqm, the property spans over three levels. Internally, the accommodation is in need of some modernisation but provides beautifully proportioned rooms which are light and spacious, whilst retaining a host of original period features including open fireplaces, cornicing, stripped wooden floors and picture rails. The house provides elegant accommodation ideal for a family seeking space and comfort. 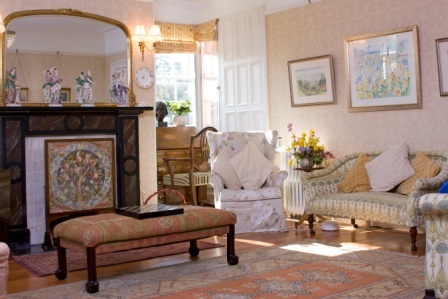 The ground floor includes a delightful drawing room which leads to a charming conservatory, the homely kitchen, breakfast room, utility room and large dining room with doors leading to a large sunroom and an attached greenhouse. A grand sweeping staircase leads to the first and second floors housing five spacious bedrooms and two family-sized bathrooms. Outside are delightful, beautifully maintained gardens and grounds extending to 10 acres which include a fruit and vegetable patch as well as field of permanent pasture offering good quality grazing suitable for a range of livestock. A variety of useful outbuildings including byre, garage and log store are also attached to the house. 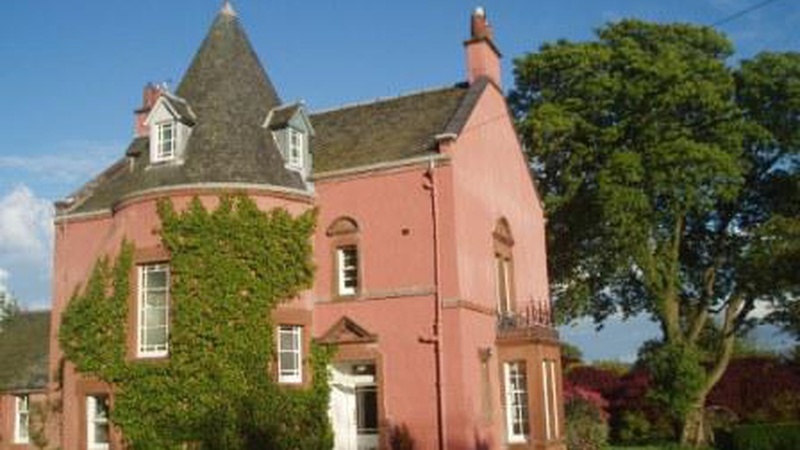 Mosspark Lodge is a short distance from the house and similarly built of pink painted rendered walls under a pitched tiled roof. Offering comfortable accommodation, it extends to about 88 sqm and has recently been upgraded with double glazed windows. The Lodge comprises of kitchen, one spacious reception room with stove, two bedrooms, one en-suite, and a family bathroom. A staircase leads up to a useful attic room with loft storage area. Mosspark House and Lodge is in close proximity to a number of leisure offerings including country sports, fitness facilities, shooting school, equestrian centre, the British School of Falconry and three famous golf courses at Gleneagles Hotel, just 11 miles away. Situated five miles away is Dollar, with a good range of shops, services and facilities including golf course, primary school, tennis and squash club, and the well-known Dollar Academy. Dominic Wedderburn, handling the sale for CKD Galbraith from our Stirling office, said; "Mosspark House is a wonderful opportunity to own a stunning country property in one of the most scenic areas in Perth & Kinross. The property would be ideal for family looking to enjoy the benefits countryside living yet remaining within close range of Stirling and Edinburgh. "With the attractiveness of the house and the range of sporting opportunities in the region, we expect sustained interest from buyers." Offers over 895,000 for whole (Mosspark House and Mosspark Lodge). 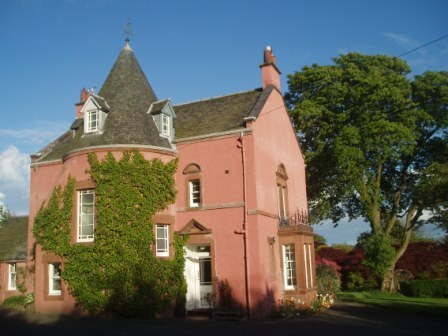 Offers over 695,000 for Mosspark House and 10.6 acres. Download the schedule for Mosspark House and Lodge.